Days after being alerted that documents containing the personal information of Hartford residents were piled up in unlocked rooms in city hall, the mayor has had them removed. "All of the documents are being moved to a secure location and once that's done, then all of the departments have to account for everything that's in there,” Maribel La Luz, a spokesperson for Mayor Pedro Segarra, said. Last week, the Troubleshooters went to City Hall to investigate complaints of disrepair in the basement and found copies of personal checks with active bank account numbers, driver’s licenses, and papers containing the private information of Hartford residents lying in stacks on the floor among junk. Councilman Larry Deutsch said that should not happen. 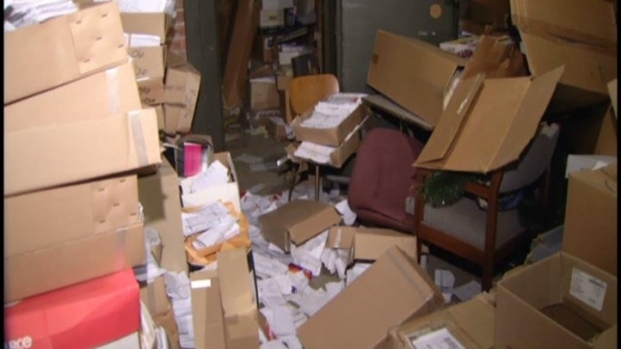 Hartford city officials said they are removing piles of financial documents and moving them to secure locations. Mayor Segarra agreed on Monday that those documents should be secured, but they removed unsecured when the Troubleshooters went back a day later. "Someone has to be accountable,” said Deutsch, who added that he’s glad the city is taking responsibility. "The administration going forward, they need to watch out for stuff like this. They need to be on their toes,” he said. La Luz said she wants to reassure those residents whose data may have been at risk. "They should know that their documents are safe,” she said, adding that residents don't have to worry. The mayor's office tells the Troubleshooters that all documents containing the personal information of private citizens have been moved to a secure location.